For your convenience , a short glossary of commonly used terms. Declaration- A sheet of paper which comprises all lists of merchandise on a ship or on a plane. The list comprises the names of the senders and the receivers of the merchandise, and the entire contents of the merchandise. Purchase Tax- A tax levied on imported merchandise and on merchandise manufactured within the country. This tax is only levied on certain kinds of merchandise. VAT- A tax levied on the added value of the goods. On every phase of the improvement of goods process there is a tax. The tax is levied on imported goods and on goods manufactured domestically. Goods, such as fresh produce is not liable to tax. Business code- A code which is given to all imported goods at the time of their arrival to the port. Brussels Terminology- Terminology and categorization of all merchandise as they are defined in Brussels, which is the capital of the European market. Licensing warehouse- Or bonded warehouse, is the warehouse the customs department, where merchandise is stored before the payment of import tax. These warehouses are usually privately owned. Sender- Works in the global freight business. The sender accumulates unifies shipments and sends them to their destination, whether it be by sea or by air. Freight terminal- A terminal which is supposed to receive cargo for import or export. These terminals are mostly privately owned by companies. The terminal is under the supervision of customs. Storekeeping- The payment for the time of storage of the merchandise. The payment is for the days that go beyond the days of exemption, that are pre-defined. Container- This is a big container for merchandise at sea or in the air. The containers have pre-set measurements and are designed for shipping, both in ships and in airplanes. The sea-born containers are also suitable for shipping in trucks. There are refrigerated containers, containers that have an open top and containers in with surplus capacity and containers for special needs. Every piece of merchandise has its own number, the attachment of a number to a piece of merchandise is called classification. The classification is a special expertise which customs brokers and customs officials are proficient in, even though they don’t always agree on it, as the classification determines the level of taxation. Portage- A payment made for portage, the demounting of the ship and the loading of the truck. Customs agent- or a customs broker. This is a free profession where you represent importers and exporters towards customs. The customs broker is licensed, and he acquired this license after having undergone tests within a certain time period. The customs broekr is supposed to represent the customs department towards the importer as well as representing the importer towards the customs department, and it is all according to the laws pertaining to customs. Customs item- An item in the customs fee according to which the merchandise is defined, the import tax is levied and the legality of the import is determined. Customs Injunction- An injunction of the Minister of the Treasury, on the basis of the Customs Directive, designed to execute the laws of customs. The customs fee is an injunction by the Minister of the Treasury. Free Customs Injunction- This is an injunction of the Minister of Economy, which enables the import of merchandise to Israel, without the need for import licenses. The injunction also specifies which conditions pertain to import. Customs license- This is a personal tax assessment for the sake of paying import tax. Importing license- This is a license which needs to be acquired before importing merchandise. There is merchandise which necessitates an importing license. Customs fee- A customs fee for importing taxation on imported merchandise. The standard does not apply- An certificates of approval of the Israeli Standards Institute of certain merchandise that do not have any applicable patents and that are fit to be cleared from customs. The delivery of goods takes place when they are transferred to a shipper in a certain location, for example FREE CARRIER MUNCHEN. The delivery of goods takes place after the execution of the customs procedure in export, on the platform of the port of export. The delivery of goods takes place after the loading of the ship at the port of export. The seller is responsible for the costs of shipping by sea, until the arrival of the merchandise at the port of destination, as agreed upon between the parties. This does not include expenses pertaining to demounting and clearing the goods. 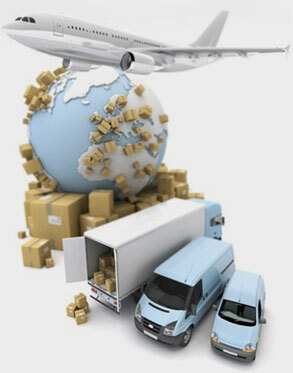 The sale of goods includes expenses on shipping by sea, and insurance coverage until arrival at the port of destination. The seller is responsible for the costs of shipping by sea, air or land, until the agreed upon point of delivery at the port of destination. The delivery of goods on the platform at the port of destination. The delivery of goods to the land of destination, not including payments to customs or taxes at the port of destination. The declaration of the shipper on the bill of lading that ensures that the goods were received in a proper and complete shape externally. The shipper receives the goods from the seller, transfers them for the sake of unifying to the warehouse, the cargo is then delivered to the port of destination after having emptied the container and clearing it in customs. The shipper receives the contained goods from the seller in a closed container, whereby the container is then delivered to the receiver in the port of destination, after having settled the customs payments. Levies on gas, an addition to the costs of shipping, and is calculated according to tons or cubic meter. Levies issued by a state of war, and is calculated according to tons or cubic meters. Cargo which is defined as dangerous. In using this term the seller terminates his responsibilities in a business deal upon placing the goods at the point where one usually issue goods in the factory/warehouse of the seller, in the country of export. The delivery of the goods does not include the procedure of customs clearing for export, and does not include loading the goods on the vehicle which collects them. The insurance, responsibility for expenses and other things is transferred from seller to buyer, with the placement of the goods, within the agreed upon time, in the warehouse of the seller. One can use this term in all different kinds of international shipping. In a sale under the EXW terms the expenses and the responsibility of the seller are minimal. In using this term the seller terminates his responsibilities upon delivering the goods to the possession of an international shipper (pre-defined by the buyer) in the country of export after having completed the customs procedures of export. One can use this term in all different kinds of international shipping. In using this term the seller terminates his responsibilities upon delivering the goods, after having completed the customs procedures of export and placing the goods on the platform of the port of country of export. From this platform the goods will be loaded onto the deck of a ship. One can only use this term in shipping by sea. Counts as one of the most famous Incoterms. The seller terminates his responsibilities upon transferring the goods to the railing of the ship in the port of departure. One can only use this term in shipping by sea when the two parties agree that the delivery of the goods to the buyer will take place beyond the railing of the ship in the port of departure. . In using this term the seller pays for the shipping of the goods to the port of arrival, which has been agreed upon between the parties, without clearing them from customs, in the port of arrival. One can only use this term in shipping by sea when the two parties agree that the delivery of the goods to the buyer will take place beyond the railing of the ship in the port of departure. This term is very similar to the previous one, the CRF. But in using this term the seller has another commitment and this is paying for insurance at sea, as against the risk that the buyer will suffer injuries as a consequence of the cargo’s disappearance or damages to it while shipping at sea. Usually this is only minimal insurance coverage and should the buyer be interested in additional coverage, he has to inform he seller of this. This terms is also only for use in shipping by sea, when the two parties agree that the delivery of the goods to the buyer will take place beyond the railing of the ship in the port of departure. This term is similar to CFR but the insurance is not transferred from seller to buyer with the goods passing the side of the ship in the port of departure but rather with their transferal to the possession of an international shipper (pre-defined by the seller who’s paying for the shipping). The seller should pay for the shipping of the goods by sea/air/land and/or a combination of these until an agreed upon point of delivery in the country of destination, before the goods have been cleared from customs. One can use this term in all different kinds of international shipping. The term CIP is very similar to the term CPT, but in using the term the seller has an additional commitment and that is paying for insurance at sea, as against the risk that the buyer will suffer damages as a consequence of the cargo’s disappearance or damages to it during international shipping. Usually this is only minimal insurance coverage and should the buyer be interested in additional coverage, he has to inform he seller of this. One can use this term in all different kinds of international shipping. This is a new term in commercial terms that has been in effect since January 2011. This term underscores the fact that the seller fulfilled all his commitments when he placed the cargo to the use of the buyer in an agreed upon port (including warehouses under the supervision of customs, sea ports and train stations). After having demounted the shipping containers the customs import tax shall be paid by the buyer. The responsibility for security is upon the seller until the delivery of the cargo to the agreed upon point of destination. This is a new term in commercial terms and underscores the fact that the seller fulfilled all his commitments when he placed the cargo to the use of the buyer upon the means of shipping (without demounting) in an agreed upon destination. The import taxes shall be paid by the seller while the responsibility for security is upon the seller until the delivery of the cargo to the agreed upon point of destination. In using this term the seller fulfilled all his commitments when he delivered the goods, to the buyer at the agreed upon point of delivery in the country of destination. This includes paying customs and/or taxes, not including payment for demounting the shipment containers at the house of the buyer. The seller has the responsibility for clearing the imported goods, on his own expense, from customs. This term can be used for all kinds of shipping.